The Milpitas Historical Society was founded in 1980 by 79 concerned citizens who feared the loss of our city's heritage. The first president of the society and the person most responsible for the society's creation was Elaine Levine. Mrs. Levine and her husband, Mort, were the founders of the Milpitas Post newspaper. During the 1980s the Society conducted oral history interviews with persons who recalled the days before Milpitas became a city. Transcribing the tapes was begun but the work of completing the task remains to be finished. 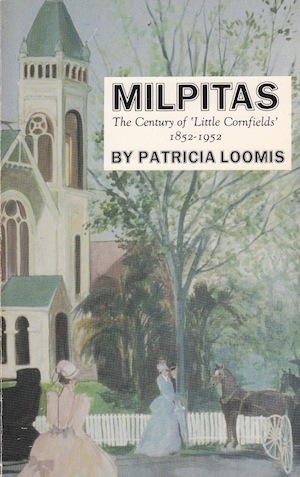 In 1986, the Society sponsored the publishing of Milpitas, The Century of Little Cornfields. This book, written by Patricia Loomis, told the story of the people who came to this area. It begins with the first land grant ranchos and ends in 1952, as plans were beginning to be made to move the Ford Motor Assembly Plant to Milpitas from Richmond, CA. In the late 1980s, the Society raised funds, including a $100,000 grant received from Shapell Industries in 1990, for the purpose of restoring and preserving some of the most precious of our few remaining historic buildings. The Society has been increasingly active in preservation since 1990. In 1992, plans for a new printing for the book, Milpitas: The Century of Little Cornfields, began and in 1999 a new edition was published. In 1992, the badly deteriorated roof of the Alviso adobe was covered by the Society working with the E Clampus Vitus Association. 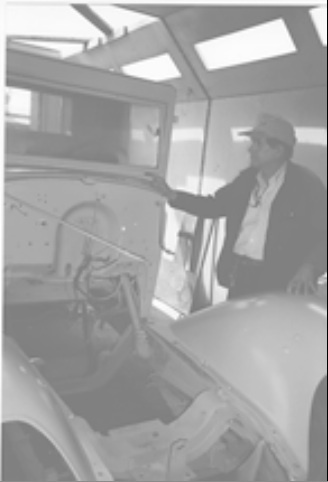 The first firetruck used by the Milpitas Volunteer Fire Department, nicknamed "Leapin' Lena," was acquired in 1993 thanks to Ed Cavallini and is now completely restored thanks to Bob Keely and the inmates at Elmwood Correctional Facility. Thanks to the efforts made in 2008 by Barbara Bowman and the city of Milpitas, today it may be seen displayed at the parking garage entrance to the Milpitas Public Library. In 1994, the Society helped the City research and erect the Viet Nam and Korean War memorials. In 1994, the Society worked closely with the Great Mall of the Bay Area to create a local history display seen by tens of thousands of visitors to the mall each year. The Society sponsored the first printing of a Bicycle Tour of Historical Places in Milpitas, written by Steve Munzel, in 1994. Also, in 1994, the Society helped the City of Milpitas to celebrate its fortieth anniversary of incorporation by contributing selected photos and postcards from our archives for use in a commemorative community calendar. The creation of a walking tour brochure of old Main Street was begun in 1996 and represents a work in progress, although there is a "Cybertour" of Main Street at the "Return to History" link below that shows some of the remaining historical buildings standing as of December 1999. To improve in its mission to educate our citizens about Milpitas history, the Society established this internet homepage in 1997. Although the Milpitas HIstory Homepage is privately owned and maintained, the webmaster has served seven terms as the President of the Milpitas Historical Society and published the Society's newsletter, the Muse, for nine years. Updates and additional photos to this web site are added as frequently as I have time. In 2005, the Historical Society members provided information and photographs for use in the book, Milpitas. This title was one of the Images of America series of books and contains wonderful old photos of Milpitas' past, many of them unretouched by the author, Robert Burrill. In 2009, the Society bought and donated a statue to the newly opened Milpitas Public Library after various art groups in Milpitas refused to buy the sculpture, which had been mass-produced in Thailand, from the owner who had temporarily loaned it to the library. In 2009, the Society purchased a 1964 Ford Galaxie sedan that had been painted to resemble a police car by a San Jose emergency vehicle collector. The car had been a family sedan and never served a a real police car. This vehicle is not a Milpitas cultural resource but rather was created as a show car for those involved in the emergency vehicle hobby. It is a modern replica not a historical Millpitas Police Department artifact. In 2011, the Board of Directors voted to have the membership authorize the sale of the car and to put the money raised from the sale into the Milpitas Community Museum fund. In 2011, the Society gave the City of Milpitas a grant of over $83,392 for external restoration and reconstruction of the Alviso Adobe. As of 2011, there were no plans by the city to complete the restoration of the Alviso Adobe. In 2011, the Society successfully campaigned to have the City Council designate a portion of the park on Main Street, located next to our public library, as the site of our city's first museum. In 2011, Society member Bill Hare offered to donate the 1865 Laguna Schoolhouse structure to the City for use as a museum. In 2011, the Society participated in our first fundraiser for the new museum. This was a fashion show at the Great Mall and raised over $1,900 thanks to the efforts of Vice President Harriett McGuire. In 2011, President Steve Munzel and Secretary Catherine Leeson completed cataloging over 300 items displayed at the Great Mall. Also, the Society began to use donor and loan forms for items in its collection to establish and document the ownership over them. This work represents the first step by the Society to prepare professionally for operating a museum. In 2011, the Society began to create historical displays at City Hall. In 2011, the Society began plans to stablize the 1865 Shaughnessy-Murphy Milk Shed, owned by the city, for possible future use as a museum office.